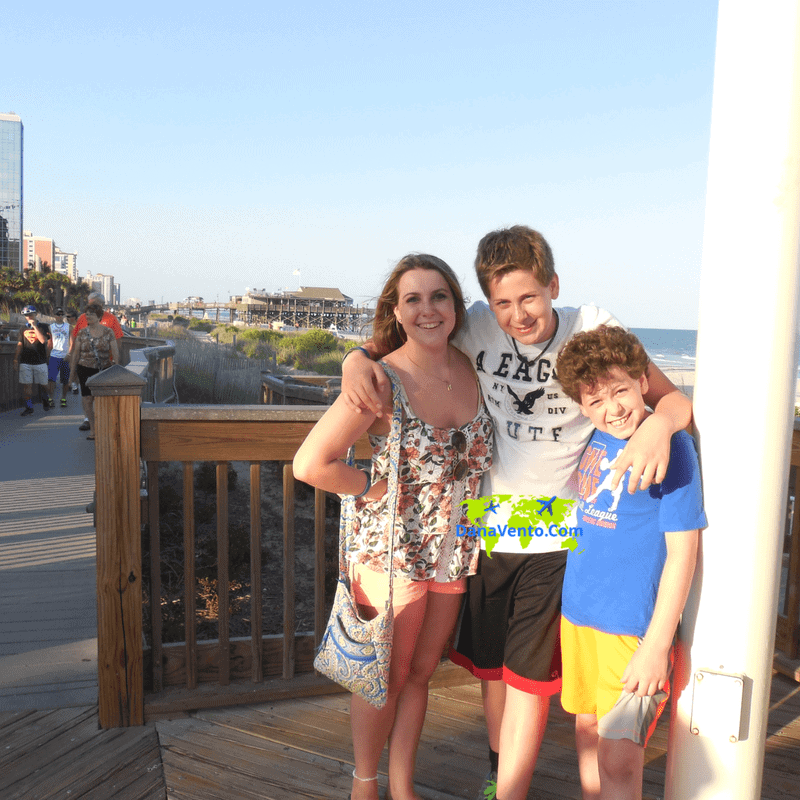 Often what is old is new, and our trip to Myrtle Beach was more nostalgia filled than anything else. Wanting to provide my kids with my earlier romping days, we headed to South Carolina for a good, old-fashioned vacation. 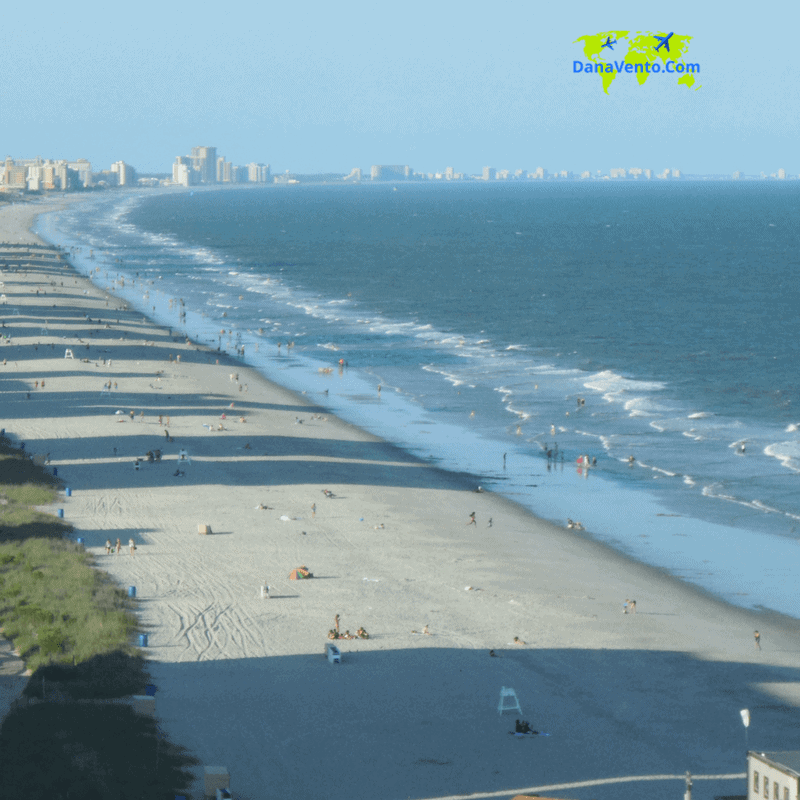 Truly, while a hurricane had swept through years earlier, Myrtle Beach still is what is was years ago, a laid-back vacation place, that offers reasonable prices for a family vacation. Something new to experience was the SkyWheel, an attraction that is not for the faint of heart. 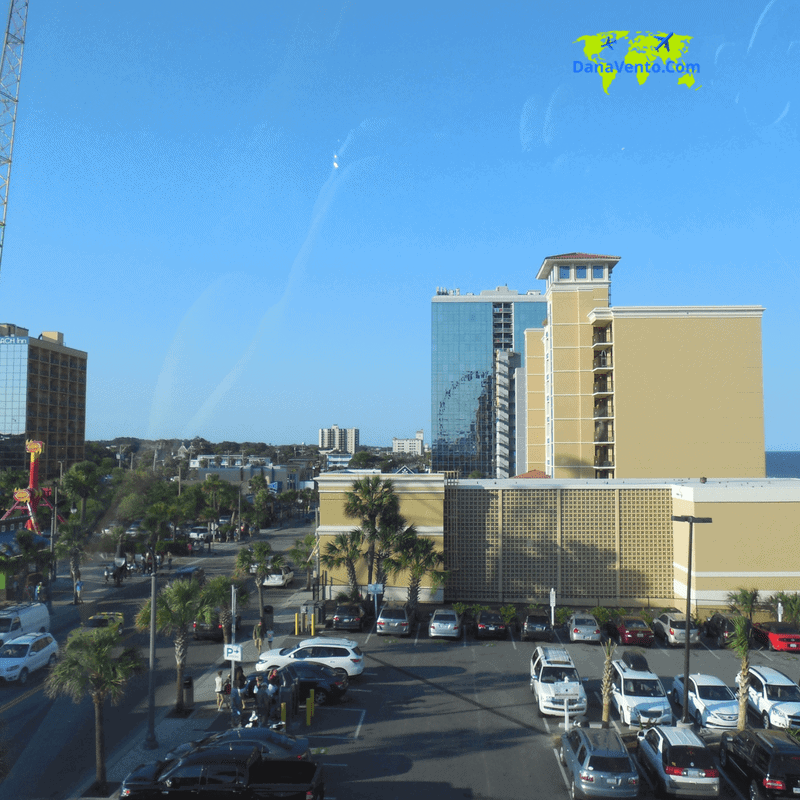 Myrtle Beach has lovely beaches, a fun boardwalk, and plenty of shopping, but the thrill of thrills is the SkyWheel, pretty much for all those that love heights, adventure and scenery in air-conditioned gondolas. 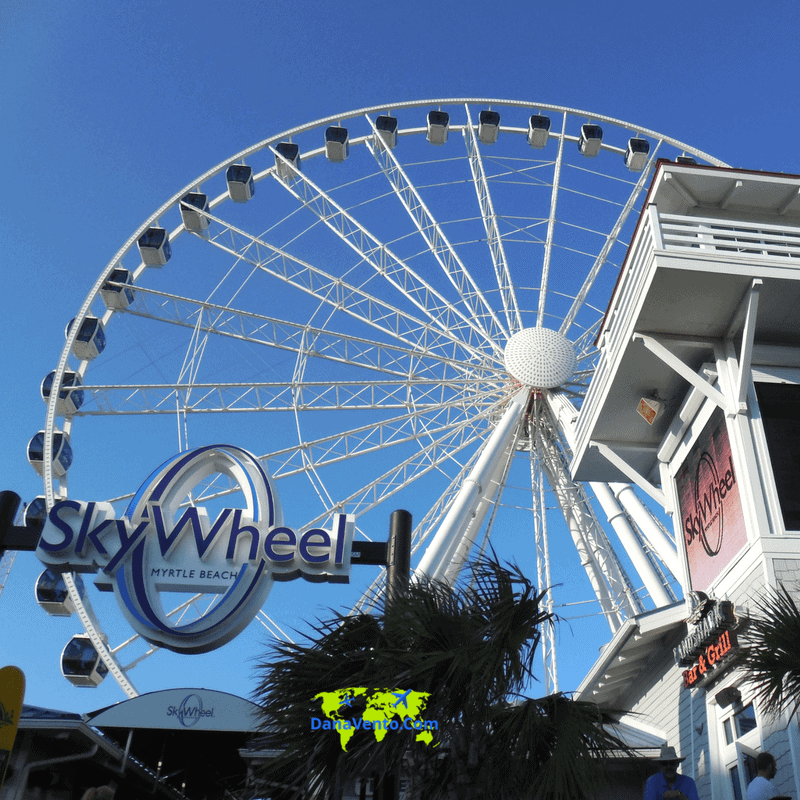 Ready to experience the SkyWheel in Myrtle Beach and lavishly live life out loud? We were provided passes to ride this attraction and this post is because I feel that anyone traveling to Myrtle Beach will want to get on this and enjoy, as it is quite possibly the crown jewel of attractions offered there. Myrtle Beach is perfect for families that want a simple vacation, with simple things to do like miniature golf, dinner out, shopping, fishing and beach time. The destination is perfect for those who just want to spend a week and not spend a fortune, it is a grand area for vacationing without breaking the bank. Do not expect a ‘ferris wheel carnival ride’ that is NOT what this is. Rather consider this your sightseeing best friend. Truly the Skywheel should be referred to as an observation-like tower that moves your from the low point (beach level) which is right about here. Then you travel to the top, about 200 feet up in the air where you will see the ocean and the entire strip left to right. I rode the tallest Ferris wheel in Myrtle Beach, South Carolina without my husband by my side and no forewarning to my kids. Earlier on in my life, when my husband and I were away in Banff, Canada,. Banff was beautiful and who could resist a helicopter ride for a ‘bird’s eye view’? We took a helicopter ride that I can’t remember because as soon as we went up, I passed out and that was all she wrote. Heights and me, well we are not friends, I can’t even walk across a bridge with water underneath because my fear is that bad, so what was I thinking when I embarked on this adventure? I had to get over myself and just experience what I had heard so many people talking about: The Myrtle Beach SkyWheel. There is nothing like a family vacation to learn all about each other even though you think you know each other well! My kids had no idea how scared of heights I was and I did something a bit insane, even on the crazy side for me. We headed to the SkyWheel and I got on and did not pass out (remember I am terrified of heights, and small spaces). What’s It Like In The Gondola? As you can imagine when I saw the glass-enclosed gondola’s I just thought to myself, my glass casket. I had no idea that my one son was just as scared as me because he refused to cave and tell me until…. 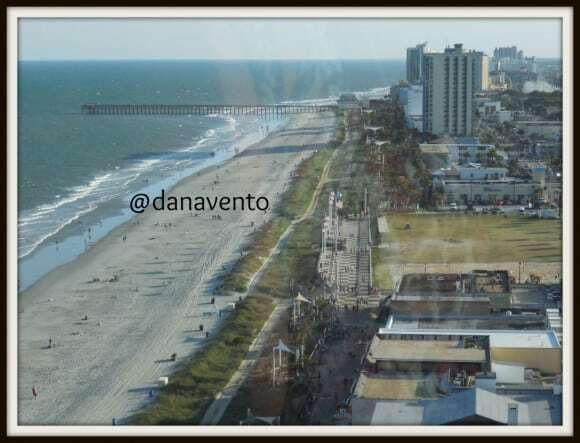 we were 187 Feet above Myrtle Beach. In the gondola you find bench-style seats that can hold up to 3 people per side, however, I think that would be a bit tight and confined. What You Want To Know Before You Do A Dare Devil Ride Here! There is no bar in the middle and you do feel like you are falling forward, even though you are not when the gondola is moving, it is the wildest feeling! The car does feel like it is swinging you are seeing all of Myrtle Beach. It can sway a bit (YIKES! ), or YEAH as my kids were saying. By the good grace of luck air conditioning in each unit does help to keep you cool under fire. We ran it and that kept things calm because cool air is always good. Also note, that the attraction itself is kept immaculately clean unlike some area in Myrtle Beach. What is the SkyWheel Ride Like? Honestly, you have to see it and Myrtle Beach it to understand, so take a look here for an insider’s view. Everything looks so amazing. Jump in here and take a look. You do get several revolutions on this, so it is not one time up and one time down. Our timing was right after dinner, be that a good idea or bad, is to be determined by every passenger riding it. It is centrally located, there is plenty of parking and there are bathrooms (which I suggest using before you get in line). Would I Recommend the Attraction? I would tell you to definitely get there and bring your camera. The ride runs day long and night long. I wanted to see the ocean and the beach but I bet it beautiful at night as well. This is the perfect date or family attraction, you choose. Truly I can not answer this question for you. If you hate heights, steer clear. However, if you just think you hate heights but don’t know do it. The view is spectacular. Also, this attraction is a bucket list item IMO. Lavishly live your Myrtle Beach vacation out loud when you enjoy a ride on the Myrtle Beach SkyWheel, we did. This is amazing family fun for everyone. You will be so glad that you visited this attraction. It really looks like it can provide a very good spot to take good pictures of the place. This is not the only attraction in that place I hope. I do not see any jetskis or canoes in the water. Not allowed? I hate heights too but I do enjoy gondola rides. It’s always nice to see the surrounding area up high! I love rollercoaster rides but I don’t know why I’m such a chicken when it comes to ferris wheel. The view from the Skywheel looks amazing though! I think sky wheel plus the beach view plus friends and family it will be the best day off. I like the view of the beach while on the highs, I want to try this wheel!!!. I think every body should!!! From your video, the movement is quite fast. I think I can’t handle it. We are almost the same. I have fear of heights and closed space. I cannot ride an elevator. I will never try that Myrtle Skywheel, not for me. I am not brave enough, I will pass out too. However, the view, the ocean and for sure the wind, it will be awesome to see those. Oh yeah, I am terrified of heights, too although not as bad as you are – passing out. I went on a helicopter ride with husband and kids in Cape Town simply because hubby said that if the chopper went down, we will all perish together. So I did not want to be left behind. I can definitely relate to what you felt when. Whoa, that skywheel ride goes too high up. I have no fear of heights…. but i don’t think I want go in into that unit…. Thank you for the recommendation Dana! I will put this in our itinerary this summer. Looks like a wonderful place to stroll and have fun! My family and I are not keen to heights but we wanted to be adventurous & have a great time. 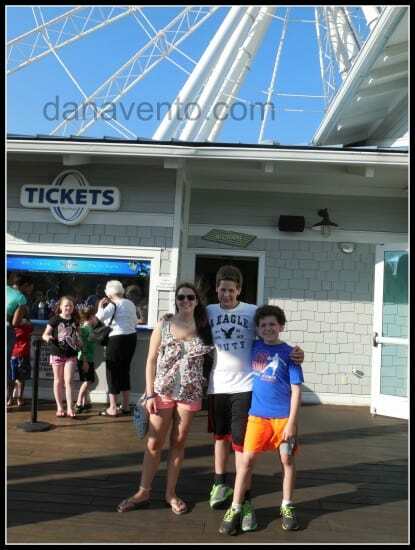 I think we will be try this skywheel at Myrtle Beach since you mentioned it is worth the price! Aaaa I’m so excited to watch your video. Really wanna to go to that beach! A beach that has a Ferris wheel? How crazy is that? I would love to see it.